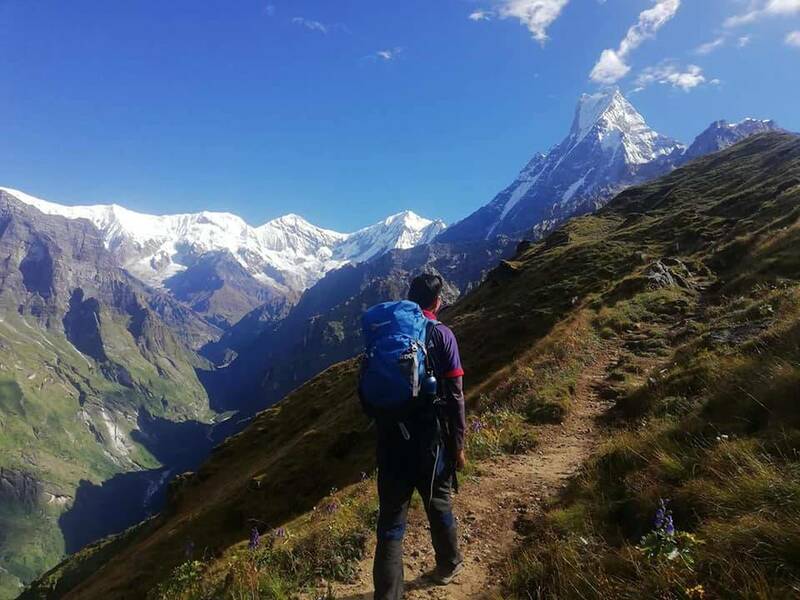 Trekking and daytrips in the Nepal Himalaya will take you through a country that has captured the imagination of travelers. 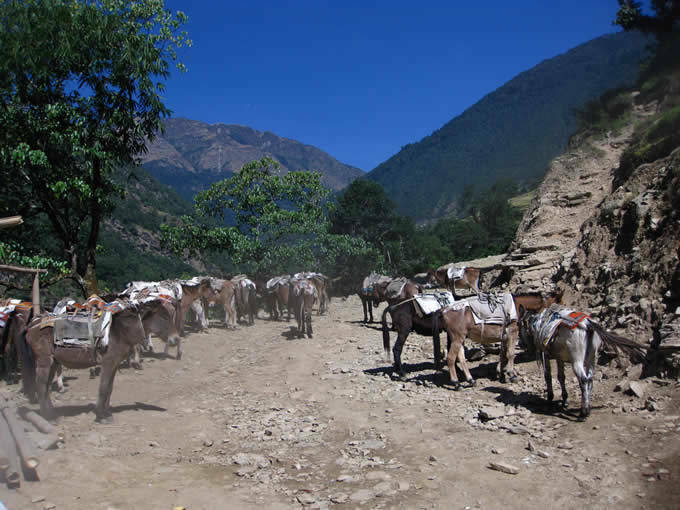 You will meet people in remote mountain villages whose lifestyles have not changed in generations. 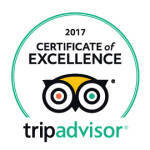 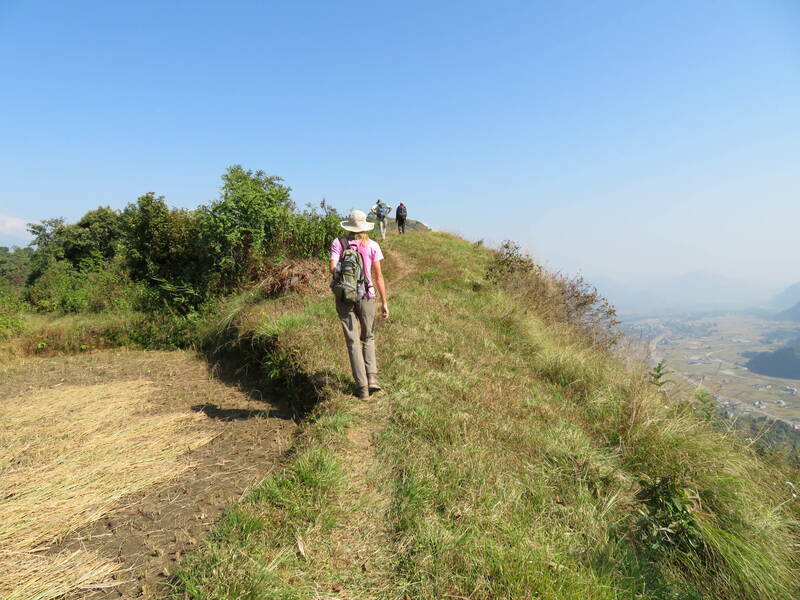 You will gain lifetime memories of the culture and lifestyles of the different ethnic people you encounter, the geography, scenery, and more. 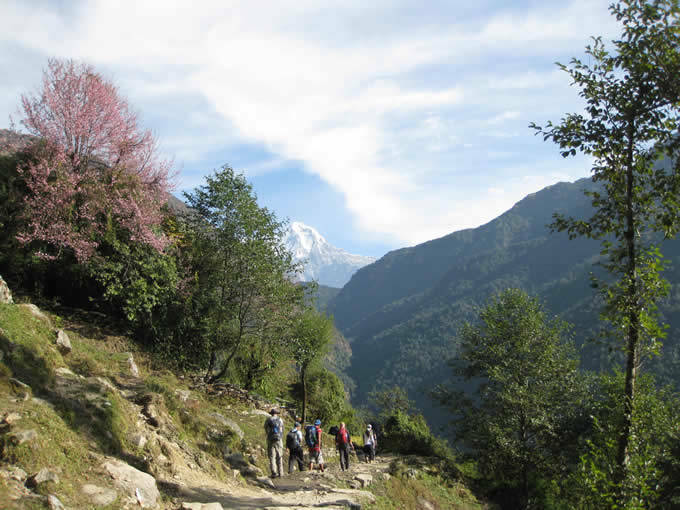 You will walk along rough but beautiful trails in the lap of lush green hills experiencing deep, dense rhododendron forests, many varieties of trees and seasonally blossoming flowers, domestic and wild animals, and multiple species of birds, monasteries, temples, mountains, rock formations, breathtaking landscapes, and warm greetings from smiling local people. 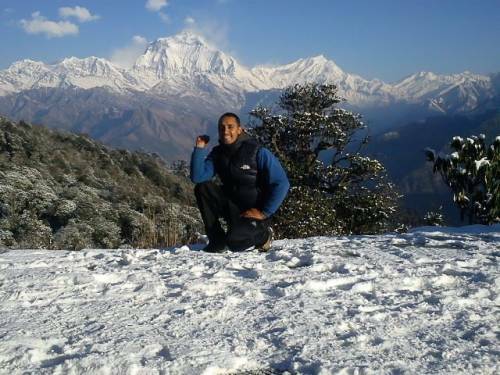 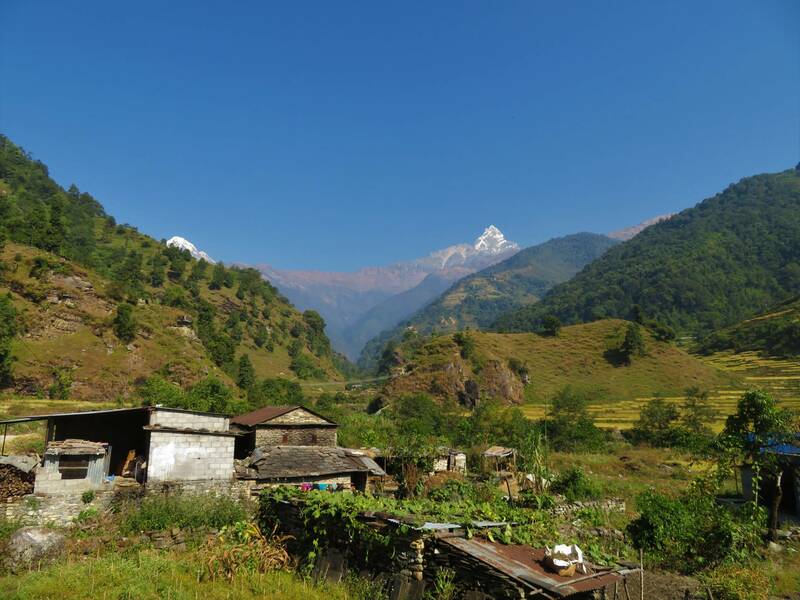 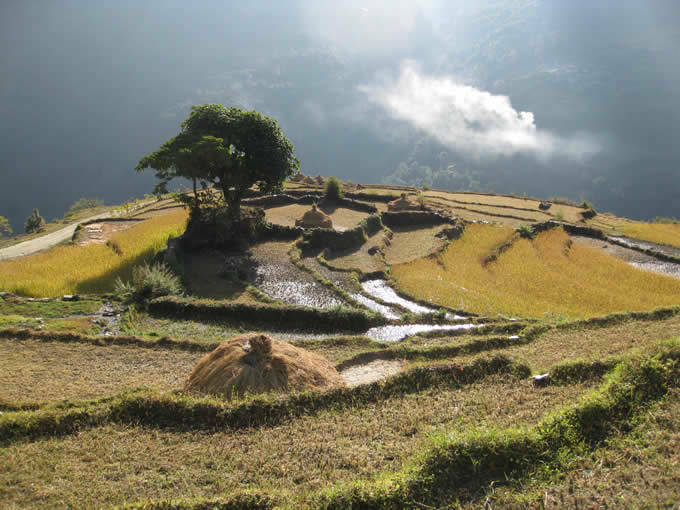 If you really want a Nepali experience, we also offer HomeStay in our home in Kaskikot. 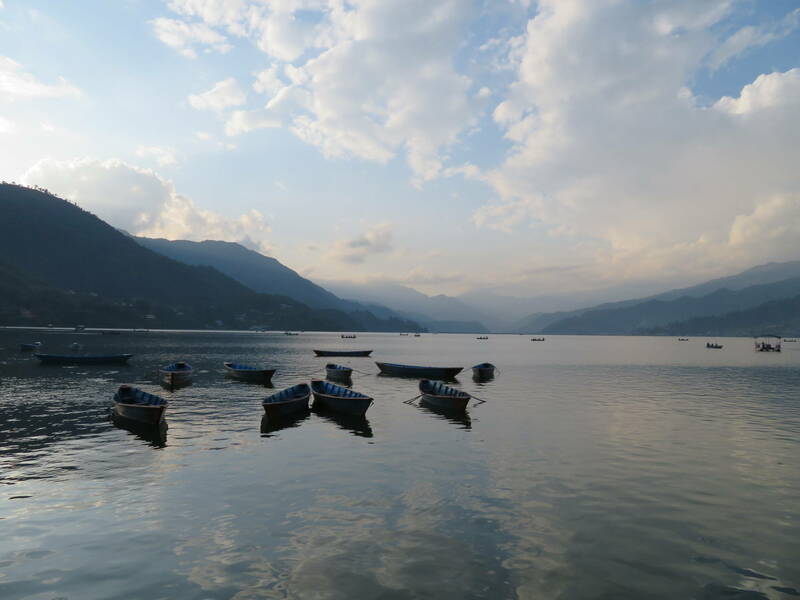 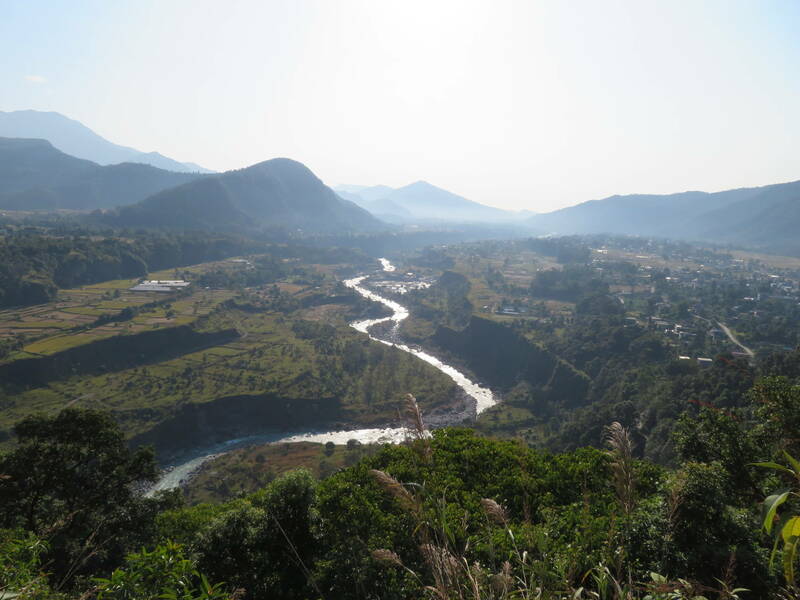 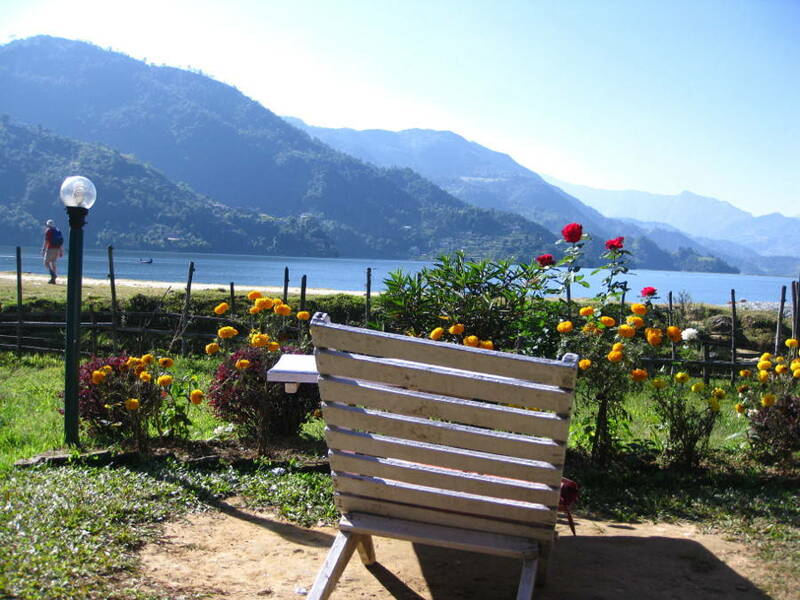 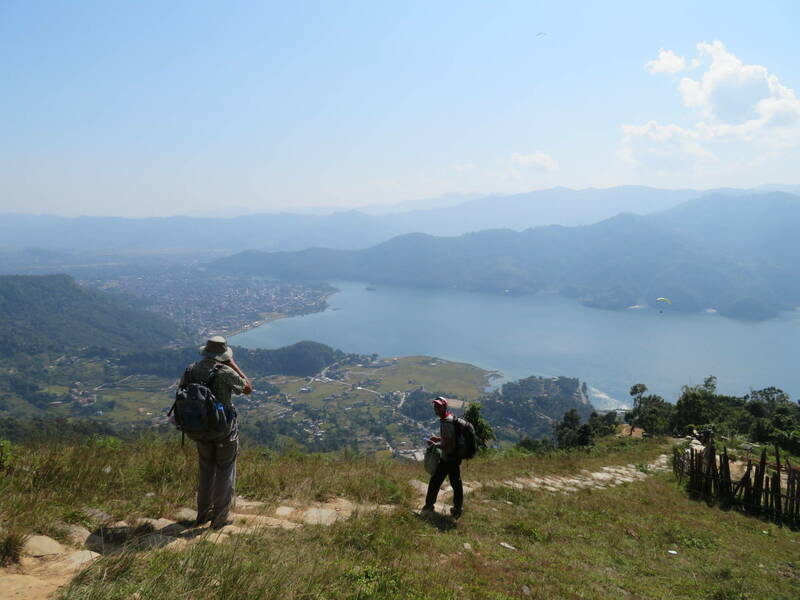 As small local village close to Pokhara, looking out over Lake Phewa and Pokhara in the background. 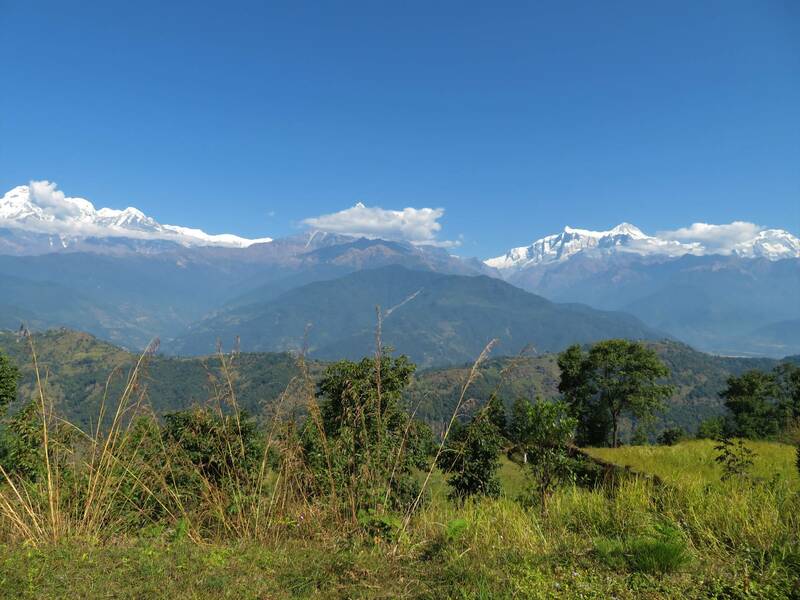 Part of our profits go to our charity projects helping the locals of Kaskikot and surroundings. 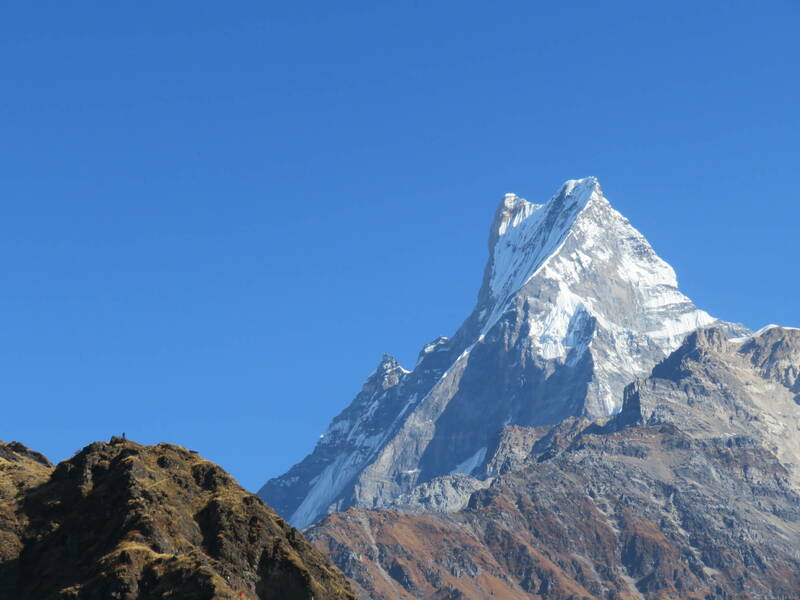 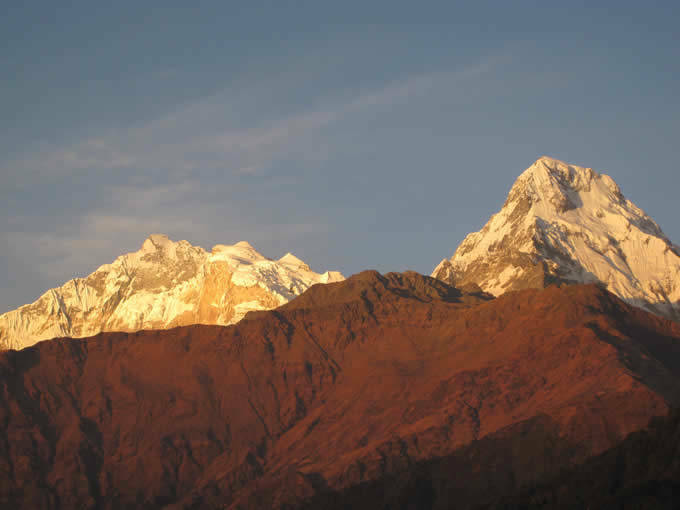 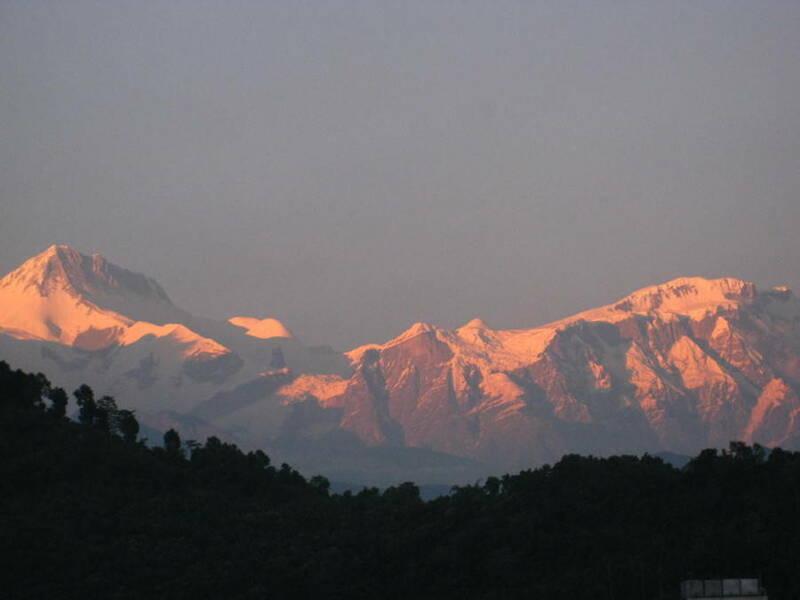 Nepal is home to eight of the world's 14 peaks above 8000 meters, including "Sagarmatha," Mt. 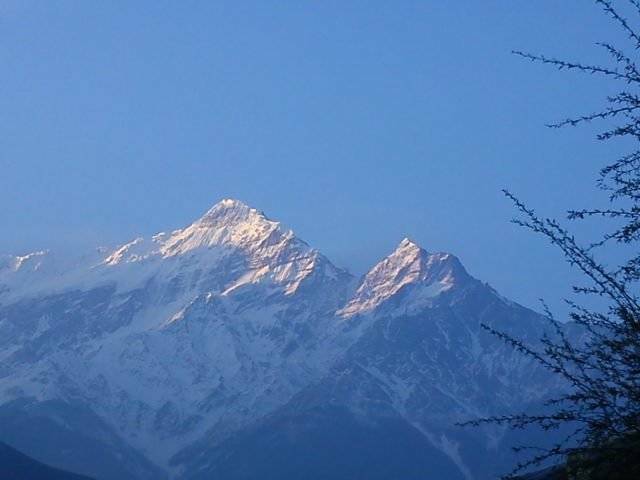 Everest, at 8848 meters the highest peak in the world. 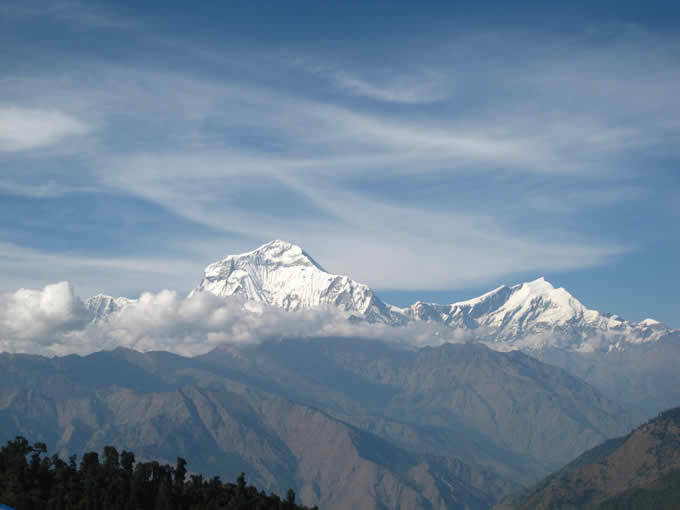 This land of numerous stunning mountain peaks is the best destination on earth for mountaineering, peak climbing and trekking. 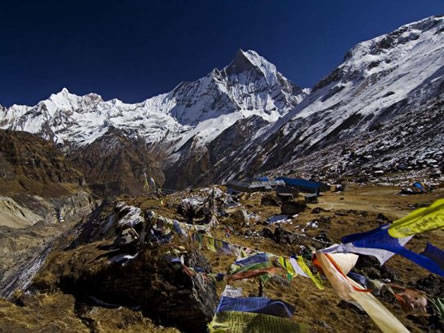 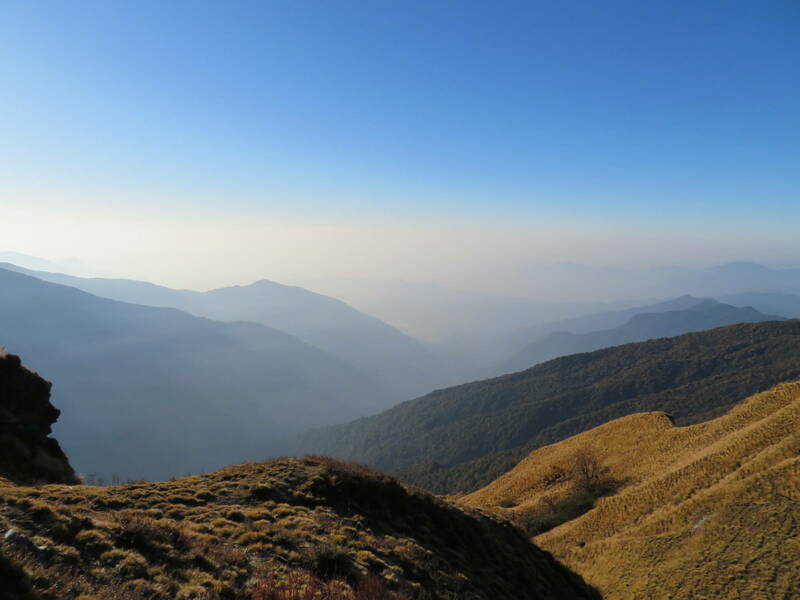 The most popular areas in the Nepal Himalaya are the Everest, Annapurna, and Langtang Helambu regions, which attract several thousand teahouse or camping trekkers each year. 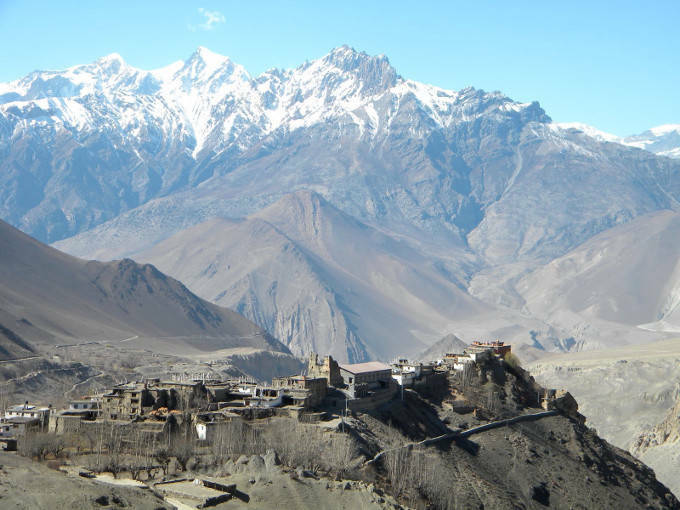 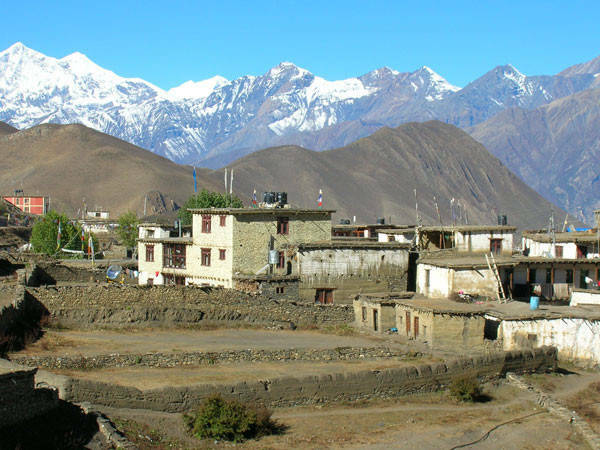 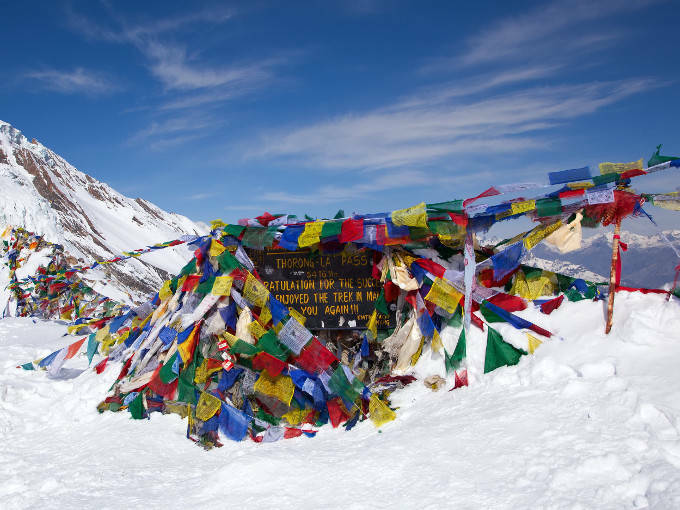 In addition, there are many other regions for camping treks including Mustang, Manaslu, Kanchenjunga, round Dhaulagiri, Makalu, Renjo Pass, Lower and Upper Dolpo, Ganesh Himal, Narphu, and more.